Just North of Big Pine you turn East off hwy 395. In the White Mountains, East of the Sierra Nevada range in California, above 10,000 ft elevation are ancient bristlecone pine forests. These two trees are over 4,000 years old. They are along the Discovery Trail in the Schulman Grove. 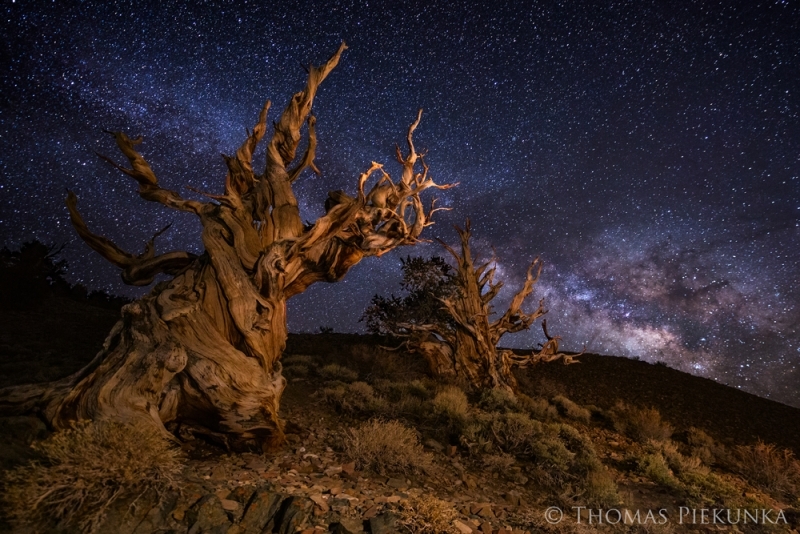 I got up at 2:00am on a chilly morning in April to catch the Milky Way rising behind these magnificent ancient trees.